¡Hola amigos! Are you in Spanish 1? The ¡Buen Viaje! textbook is very common in classrooms, but it has over 1000 vocabulary words! 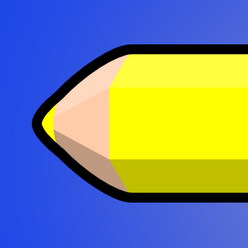 How are you supposed to learn, much less remember, all of the vocabulary? Welcome to the Spanish 1 Vocabulary app, with structured vocabulary logically grouped, starting from describing people to foods to trips. 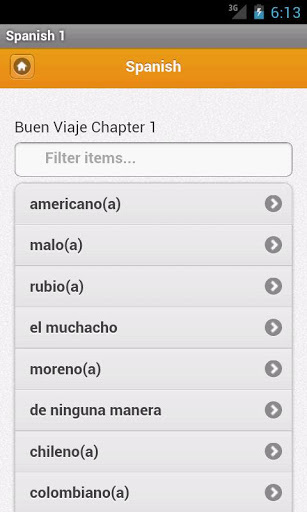 Pull out your Android device on the go and start studying with easy to use flashcards grouped by chapter and topic. 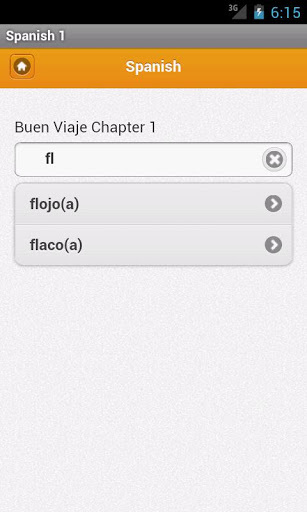 This app has all of the vocabulary from a vetted Spanish book, and is perfect for squeezing in study time, especially if you are loaded with extracurricular activities. If you are on a trip or just want to learn one of the most widely spoken languages in the world, almost all essential vocabulary can be at your fingertips! 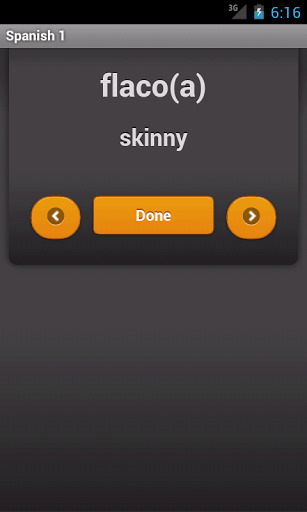 It has the nouns, adjectives and verbs most likely to be needed on a trip with a very handy word filtering feature.